...or "How To Make Yourself Love Christmas Again"
Christmas always manages to put me in a really grumpy mood, but I've been slowly working on a way to ease the pain and think I may have hit upon the way to de-scrooge myself for the jolly season. In November buy as many gifts as possible online. Preferably from places that'll gift wrap them, add a message and post them direct to the recipient. Doing this in November gives your mind the chance to actually consider properly what people will want, and you can even ask them what sort of thing they'll like without being so close to Christmas they'll expect it. Subscribe to a lovely online card service and do as many of your cards that way as possible. It saves trees too so you can feel cosy in the knowledge that you're saving the planet. There's a lovely animated cards one where you can subscribe to it for a year and send as many greetings as you like: http://www.jacquielawson.com/ That particular one is very reasonable so you can donate some of the rest of the cost you'd have spent on cards and postage to a favourite charity. Orphanages and animal shelters will particularly appreciate gifts at Christmas. If you have a local animal shelter, I'd also suggest taking some pet food down to them before Christmas. If Christmas mingling isn't your thing but you can't get out of all of them, treat yourself to a lovely outfit for the event(s), something that you'll be so elated to wear that you won't actually care where you are. If you're invited to lots of things, only accept invites from the ones in the first week of December. If you know the host of the party, try and volunteer to help with something. It'll give you a purpose, make you feel good, and totally distract you from the whole party thing. It also means that you can speak to people without the difficult mingling thing and you get to run off before the conversation gets boring because you're "busy". Have a special small gathering of your own, just you and a friend or two, somewhere nice well before Christmas. Even if you just go out for lunch together it means you'll be enjoying the company of people you care about and that's what the Christmas spirit is often about. It's nothing like the torture of a day long grumpy family Christmas where everyone is tired, drunk and overfed. In mid-December when the Christmas Shopping chaos is beginning in earnest, go out shopping with a friend on a late Sunday afternoon (when everyone is starting to tire of the whole weekend shopping but it isn't so near christmas that they're sticking there til the bitter end), visit your favourite shops and treat yourselves to a few things. This way you feel liek you've been involved in the "Christmas Shopping Experiance" but seeing as you've already done all yours online and the only person to buy for is yourself it takes all the stress out. 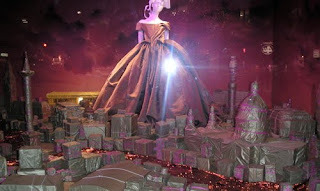 A perfectly lovely experiance and highly recommended... especially if it involves a trip into Vivienne Westwood or Lush. If you can bear the idea, put the Christmas tree up. If not, at least put your Christmas cards up. Bluetac them around the window frames or onto doors so that they're about and making you feel loved without cluttering the place up. If your Christmas card collection depresses you too and you have a small online group that your a part of why not suggest a Christmas card list on there. That way you can put effort into sending cards related to your own special interest and recieve cards back in the same way that'll be very you and really make you smile. (mine all arrive covered with Nick Rhodes and Duran Duran pictures). If you have a shrubbery outside your house, buy one of those christmas light nets that can go out doors, plug it in and chuck it over the shrubbery. Instant pretty decorations that will make your house look cosy and twinkly when you get home of an evening yet without turning your home into a cheap immitation of Vegas. Stick the music on, run yourself a bath and crumble in half an "Elf Yourself" bubble bar from Lush. If you're particularly grumpy, crumble the whole bar in. If you've put your Christmas tree up, light the lights. If you have an open fire, light the fire and dim the lights. Prepare yourself some mulled wine and light tea light in red tea light holders in the bathroom. Climb into the bath which will now be full of Christmas scented, christmas coloured red warm water and fluffly white bubbles. 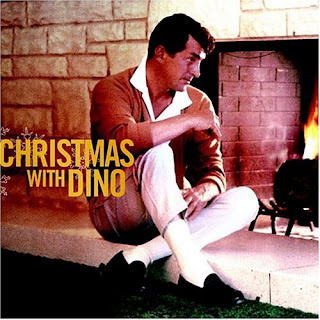 Soaking in the luxurious Christmassy bath, siupping your mulled wine and listening to Dino should start to ease Christmas in gently. When it's time to leave the bath, wrap up in a newly tumble dried fluffy towel, dry yourself infront of the fire and treat tourself with Pied De Pepper foot cream by Lush. Finally, settle down to watch a Christmas comedy DVD. I;d recommend "Elf" as it's hilarious and cosy without being nauseatingly soppy. If you're Christian or just mildly accepting of the Christian Christmas vibe, take yourself off to church before midnight on Christmas Eve. Its not like a normal full on church service, there's just a small gatherong of people in a church decorated for Christmas. You'll sing some Chrstmas carols and come out feeling all spiritual and joyous. Open one of your gifts when you get home from midnight mass at the church. Open the rest when you get up sometime around lunchtime. Don't do the family Christmas if it freaks you out. Find one of your friends who also doesn't like Christmas and spend the day together. You're each others' excuse for not attending other people's homes for Christmas Lunch. Have something simple that you can cook in few minutes or zap in a microwave that's the size of a *normal* meal, then settle down in front of the telly with alcohol and an assortment of cake, chocolates and savory nibbles. Seeing as you've avoided everyone on Christmas day, do the rounds on boxing day. Always choose a few people to visit so that you can use the others as an excuse for departing when you get bored. Visit those with children either first (to get the hanging around noisy Christmas gifts over with early on and then make a quick exit as you've so many other people to go and see) or late at night when they've gone to bed. You waon't need to make yourself a meal all day as you'll have Christmas left overs forced upon you at every stop. This is when you get to eat the normal Christmassy food, but without the stress and hassle of cooking it, the washing up, or the endless left overs.